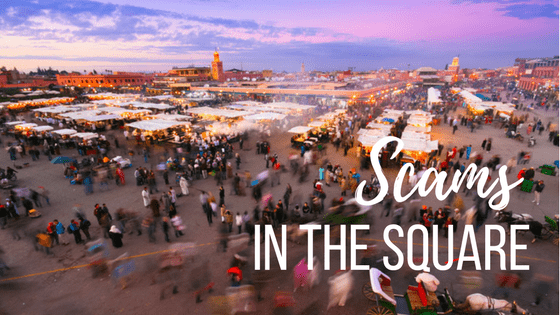 The #1 tourist spot people mention when they talk about Marrakech is Jemma El Fna square. Rightfully so, of course, as it’s the busiest square in North Africa and one of the most famous in the Arab world. 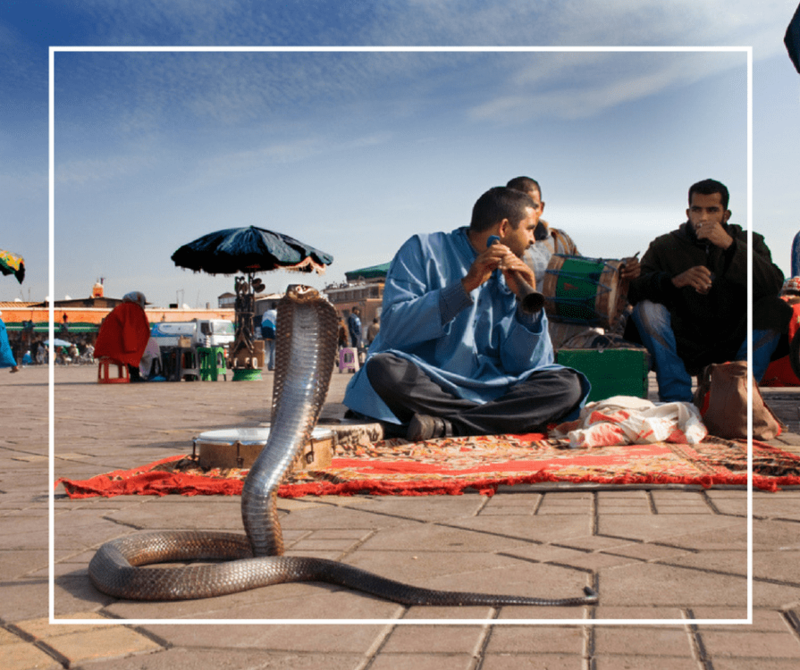 It has a rich history with centuries of being the center of life in the Medina for locals and tourists alike. 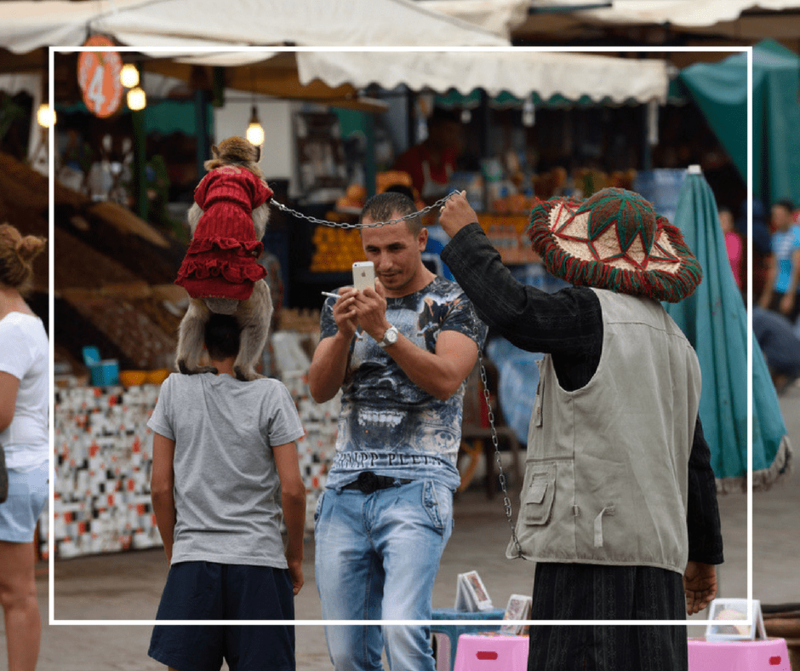 Both day and night the square is vibrant with life and color from all the people passing through, shop owners and clients bartering and exchanging goods, Gnawa musicians performing, to the orange juice stalls and food stalls hustling and bustling. But not everything in the square is so charming. Here are a few things you should be wary of. I’m terrified of snakes so I avoid these guys like the plague but my reason for you to be wary is for a different reason. If you like to pride yourself on being an animal lover or a supporter of PETA, you will stay far away from these guys. A common trick they use to “magically” charm the snakes is to sew their mouths shut so they can’t bite while the charmers play music. After a day or so the snake dies and is replaced by another and the cycle continues. I can respect a person’s attempt to hustle but not at the expense of an animal’s life. Once upon a time the snake charmers may have been real but today the practice has changed a lot. These ladies are often dressed in full niqab (all black outfits with just a space to see the woman’s eyes). This is purposeful as most aren’t licensed to actually work in the square so they cover their faces so the police don’t see who they are. I’ve often heard them offering henna in multiple languages to people walking by. But their most frustrating business tactic is literally grabbing people’s arms and starting to draw on them so they will be forced to pay them for their often times terrible designs at the end. They charge ridiculous rates for henna such as 200 dirham or more for something small on one hand. If you want to get henna done and be assured that the quality of the henna itself is safe (for example, black henna usually contains gasoline and cause a severe burning reaction) and the design is skillfully drawn, I have two recommendations. The first one is to get your henna done at the Henna Art Café, just a few minute walk from the square in Riad Zitoun Lakadim. You can enjoy lunch for 40 dirhams a plate and get beautiful henna with prices starting at 50 dirham. My second recommendation is to go to Café Clock in the Kasbah in the evenings. There is often a woman there who does fantastic Saharan style henna (Its use of lines and geometric shapes makes it stand out). If she’s not around you can ask the staff to set up an appointment with her. She often works on demand so she could drop in to do your henna by the time you finish their famous camel burger. What should you do if you do get tricked into (or grabbed by the henna ladies)? First, don’t be caught off guard by their outlandish prices. Offer them 20 dirham for whatever they’ve done and walk away. They may rant and rave but mention the police if you must and they’ll go away. They work on the premise you’ll be intimidated or guilted into payment. Hate the design? Wash it off as soon as possible and it won’t leave much of a mark at all. Following up from the section above, you’ll immediately recognize these guys. They’re the ones in the square playing with Barbary monkeys they have chained to a stand or to themselves. The monkeys are often dressed in costumes like soccer jerseys and have diapers on them so they don’t do their business on the street. While these monkeys don’t get their mouths sewn shut, they are still poorly treated and made to take pictures with tourists for money. Please don’t support the practice of stealing Barbary monkeys from the Atlas Mountains so they can be made into slaves in Jemma El Fna. Take a trip to Ouzoud Falls instead and see them in their natural habitat. If you do decide you want a picture, they will request money from you and it can be upwards of 200 dirham. There is no set price for this, but know whatever you pay it will likely go to the guys and a tiny bit left to care for the monkeys. 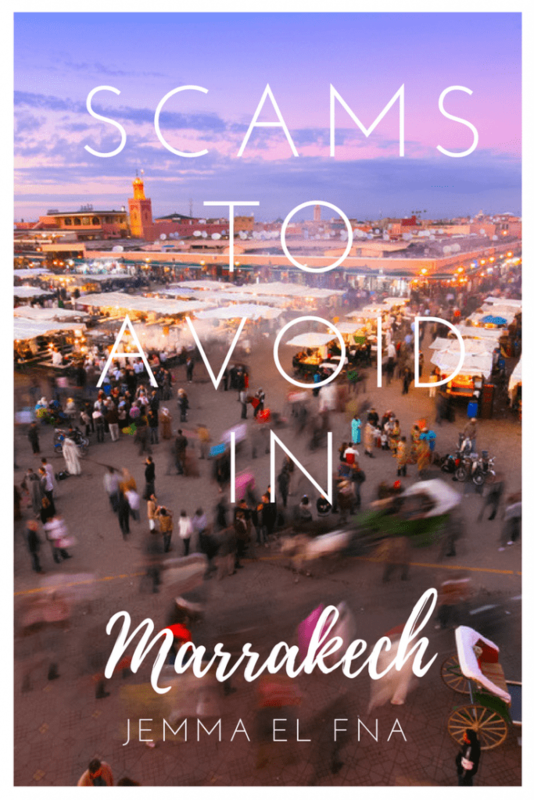 I have heard of this happening a few times to visitors to Marrakech. When going to eat at the food stalls they choose their order from the menu and then when it’s time to pay the bill is higher. If they haven’t really paid attention to the price to begin with, they pay the requested amount and walk away. However if you have paid attention the price can be quite a bit more than expected. 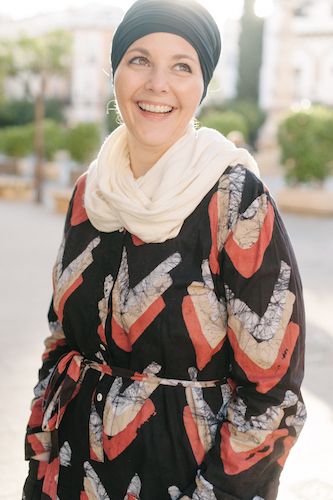 There are countless people working as a fake guides in Marrakech. You will find them in the square quite often offering to take you to see the sights or go shopping. Anyone that is a licensed guide should have an official badge, and you should ask to see it. If they say they forgot it or get offended, say no thank you and leave. Unofficial guides have one goal only – to take you shopping and make as much commission as possible. Great read and I’ll be sure to be vigilant. Scams are worldwide and as a traveller I usually get to avoid them but it’s good to know what I’m up against for each country/city.